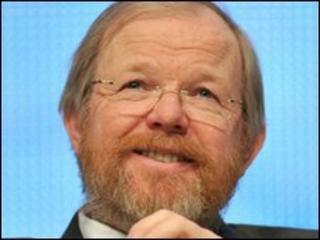 Best-selling author Bill Bryson says he believes his adopted Britain has become increasingly self-absorbed and greedy. He told a sell-out audience at the Hay Festival of Literature that people were better off comparatively than in the 1970s. But the American said: "We act all the time now like we are really poor when people are really rich." Bryson, 58, added that Britons today were in too much of a hurry and felt the "rules don't apply to me". He told the audience that he felt the Britain he first discovered as a young backpacker in the 1970s was in some ways richer than today, although "poor and economically struggling". "People's lives were actually still quite simple compared with today but it seemed like a really enriched country," he said. By comparison, now "people in general have a lot more money in their pockets. "But we act all the time now like we are really poor when people are really rich. "America is about individual wealth and collective poverty and we have moved into that camp." He added: "One thing that is different, and has changed here, is the self-absorption, not just greed. Everybody is in a hurry now and there is a 'the rules don't apply to me' sort of thing." Bryson has spent most of his life in Yorkshire and Norfolk since the mid 1970s, apart from returning to the US for a few years from the mid 1990s. "When I first came to Britain it really was all about fair play and queuing." However, he only had praise for the country's political leaders. Asked what he thought of the televised leaders' debates during the general election, the popular writer on travel, culture and language, was upbeat about all three candidates. "In America, in general you get one good candidate, one idiot and one who is generally terrifying. "In the leaders' debates here I think all three of them would do." Bryson was at the literature festival in Powys to talk about his new book At Home, which examines the origins and stories behind everyday objects in domestic life. Asked what he missed most about America, he said while he had a respect for cricket nothing could replace baseball. "It is really easy to be an American abroad because everything that is good about America is sent around the world and if it's bad it isn't."